Roasted Salted Peanuts 4 oz. A warm bowl of soup tends to make anyone feel better! Send our Soups On! Gift to anyone you think needs a pick-me up and to just show you care. 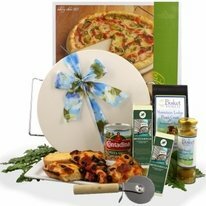 These food gift baskets include Ranch House chicken soup mix, butterscotch candies, and coffee, along with a decorative dish towel. 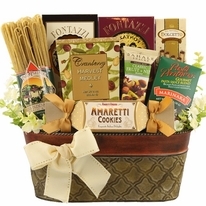 Don�t forget to include a message with one of these gourmet food gift baskets! 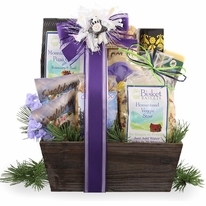 Each of these food gift baskets has options for upgrading bows and cards. 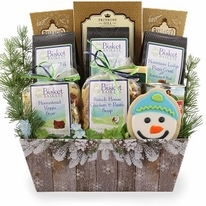 Bisket Baskets assembles our meal gift baskets at the time of order, ensuring freshness.